Before your kid is old enough to demand to choose his/her own outfit (rain boots, tutu, and cape!) 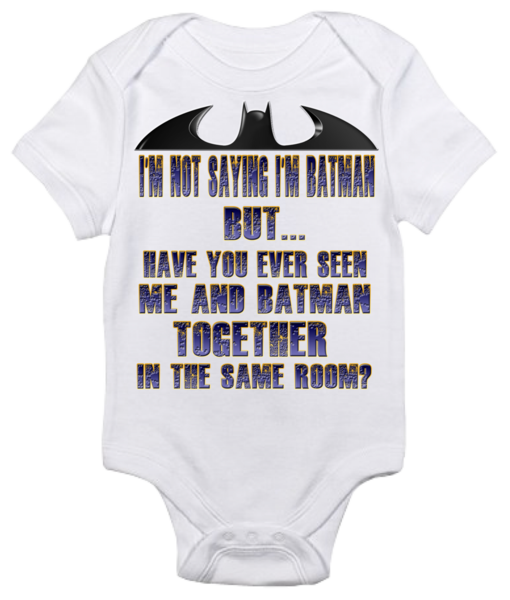 or is stripping off layers and streaking through the house with toddler glee, you get a small window where you get to dress them. 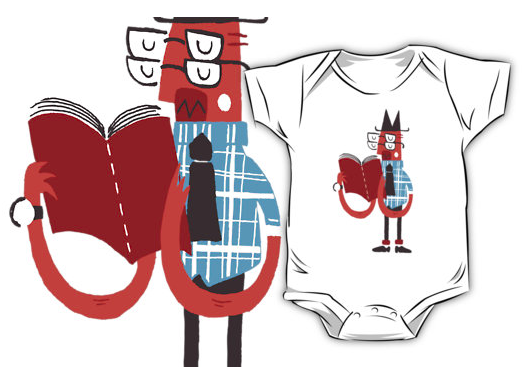 During this time you could technically view them as baby billboards if you were to, let’s say, dress them in bookish baby onesies to announce to the world your love of books (hopefully their future love). And be still my bookish heart there are tons to choose from–or, you know, one for every day of the week. 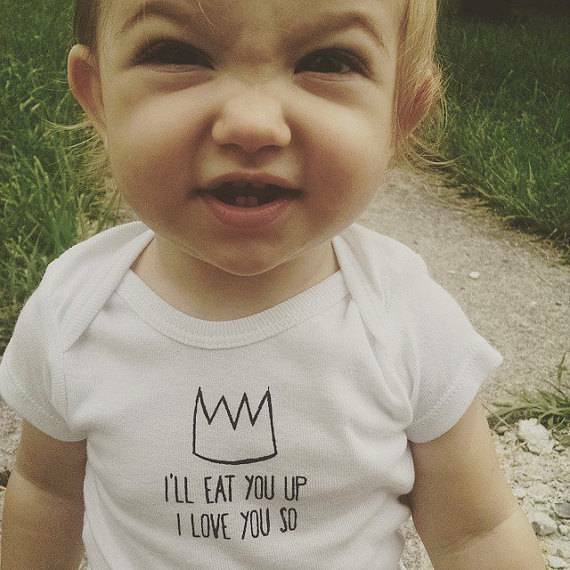 Okay, so that face steals the picture but this Where the Wild Things Are baby onesie is pretty great too. 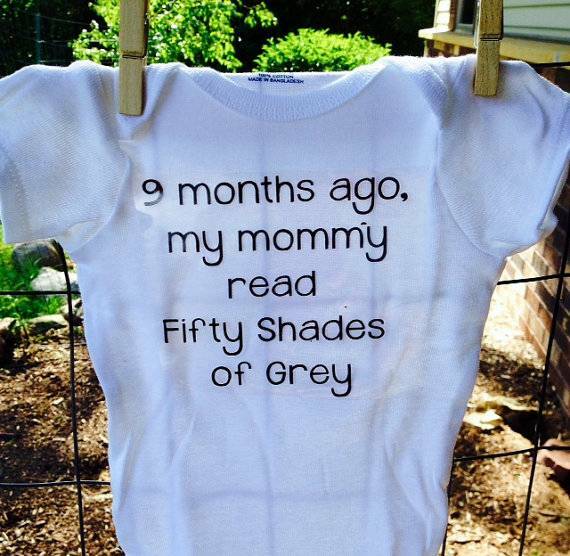 9 Months Ago My Mom Read Fifty Shades of Grey – Shocking to no one the Grey jokes have made it even onto onesies. 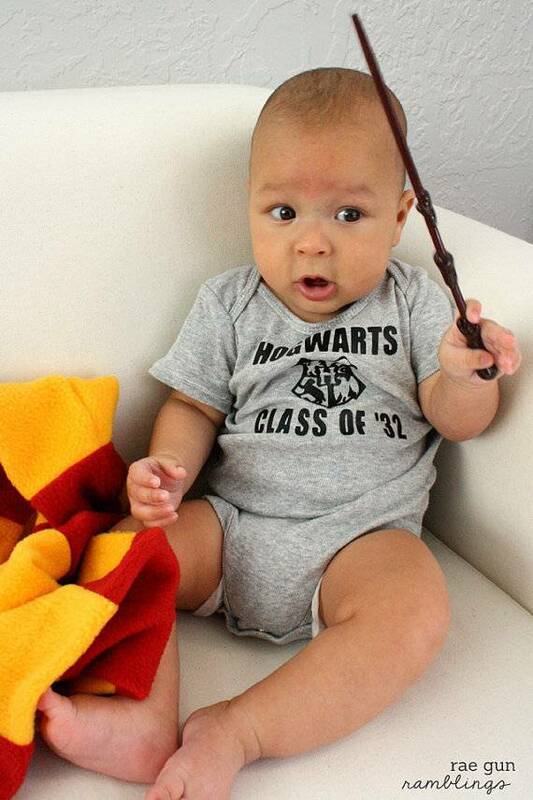 Another baby that wins the Internet is this little Harry Potter wearing Hogwarts Class of (personalized) onesie. 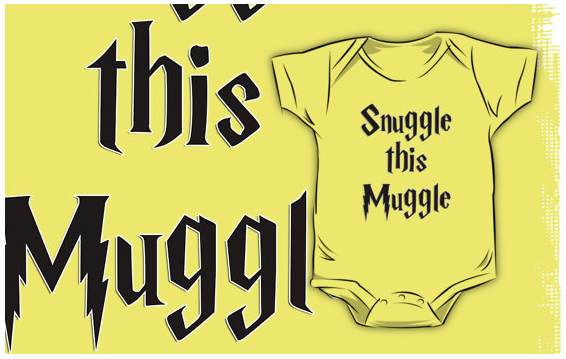 And if one HP onesie isn’t enough here’s a Snuggle this Muggle one-piece. 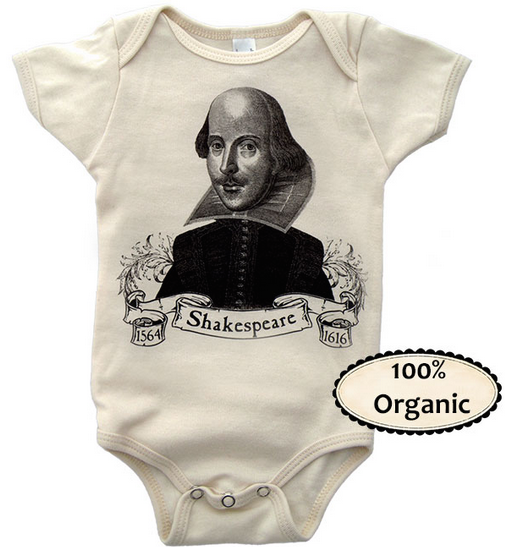 To wear or not to wear– I vote wear for this William Shakespeare baby onesie. 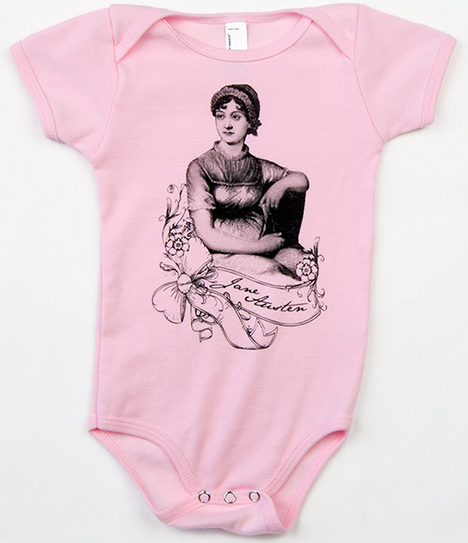 Or perhaps Mr. Darcy still has your heart in which case Jane Austen is your preferred author. 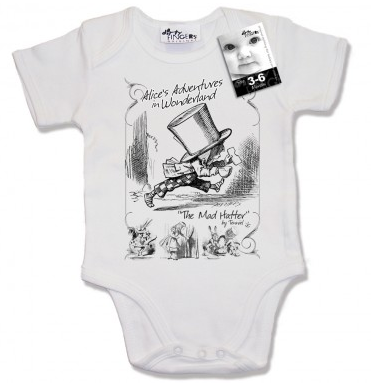 Alice’s Adventures in Wonderland onesie styled after the book’s graphics. 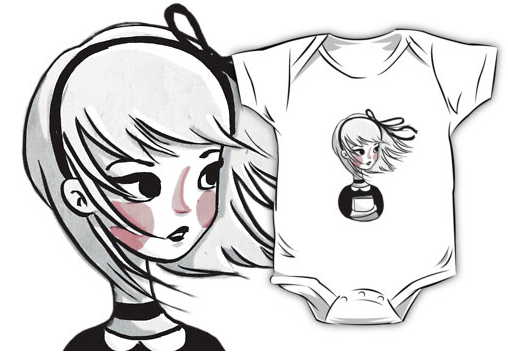 Comical Alice inspired costume-ish onesie that lets baby be a big-headed Alice. 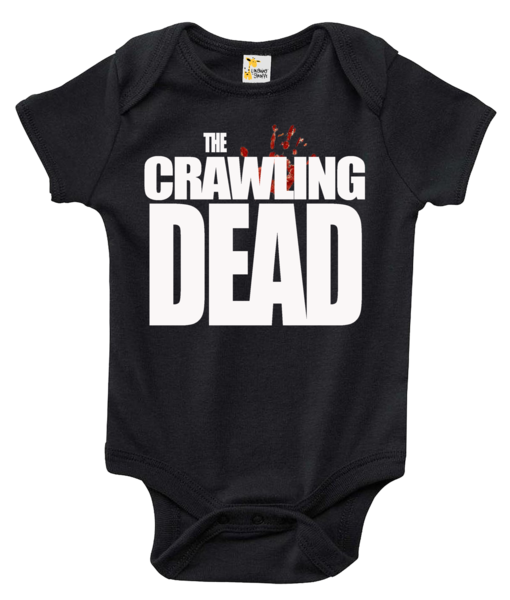 For fans of The Walking Dead and puns: The Crawling Dead onesie. 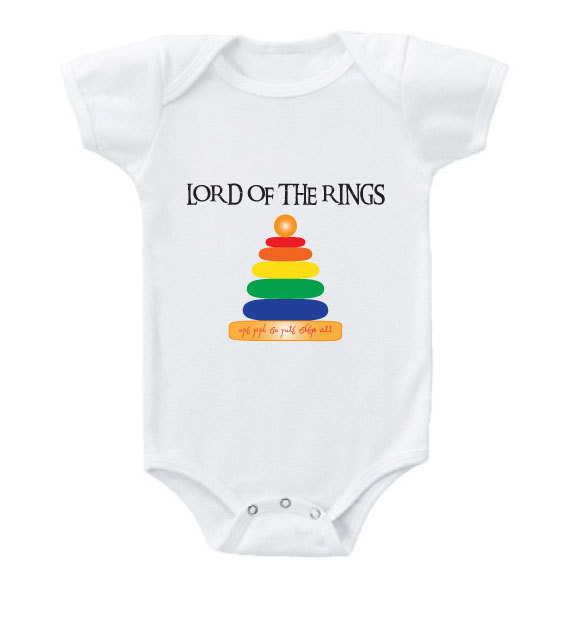 Lord of the Rings baby bodysuit is pretty genius. 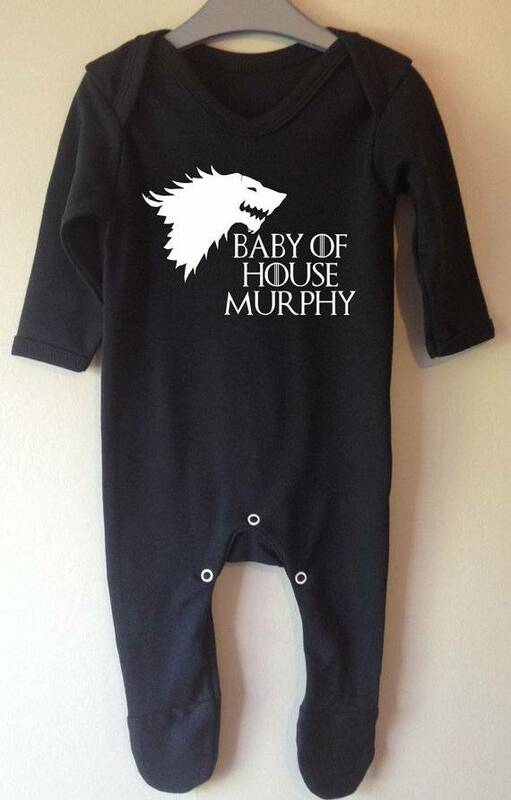 Baby of House (personalized) onesie inspired by Game of Thrones. 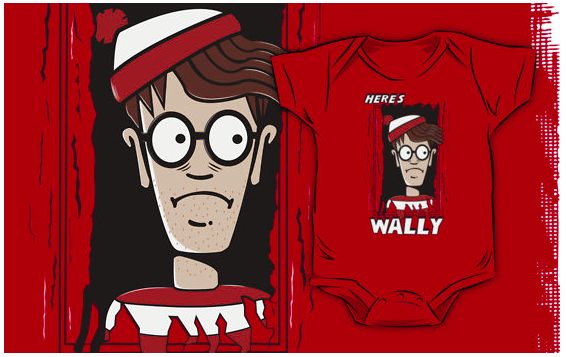 One onesie, two book mashup: Here’s Wally. 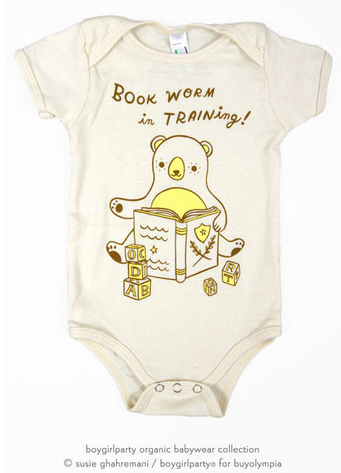 A onesie perfect for all the bookworms in training. 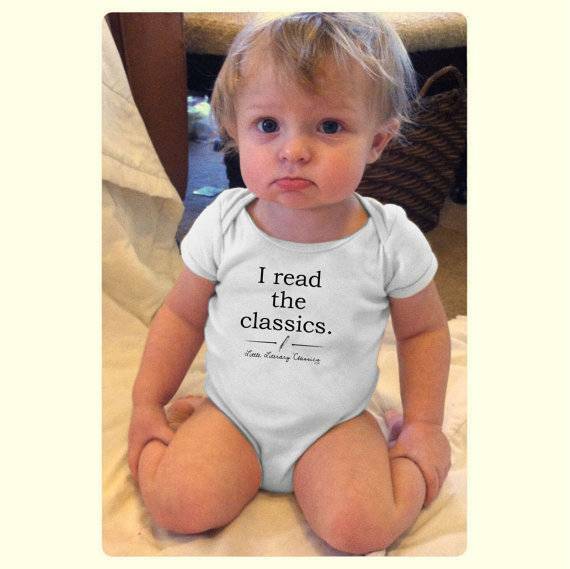 I Read the Classics baby bodysuit—I’m going to assume this baby read one of the classics where someone died. 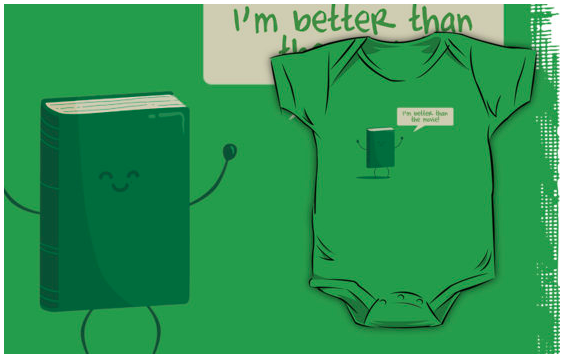 For a quirky art design I love this A Good Book baby onesie. And this lovely illustration: It Was A Cold And Windy Night. It’s been said a few times that the book is always Better Than the Movie. 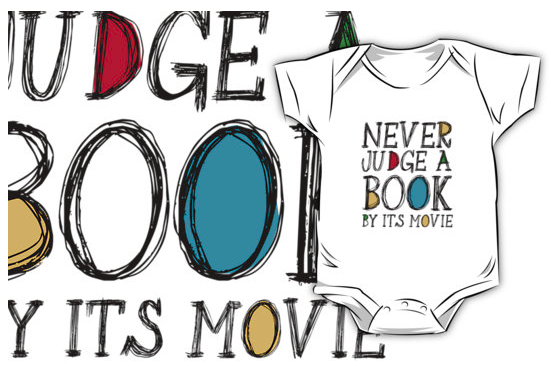 And Never Judge a Book By It’s Movie. 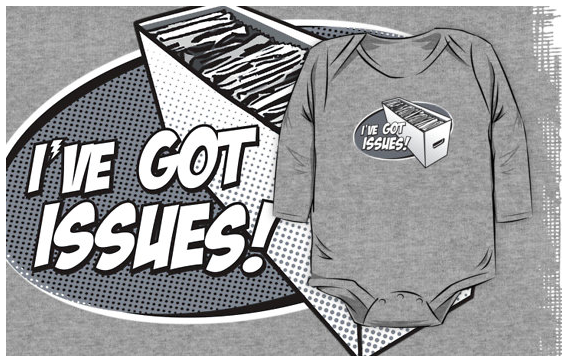 I’ve Got Issues baby bodysuit for the pun loving comic book fan. 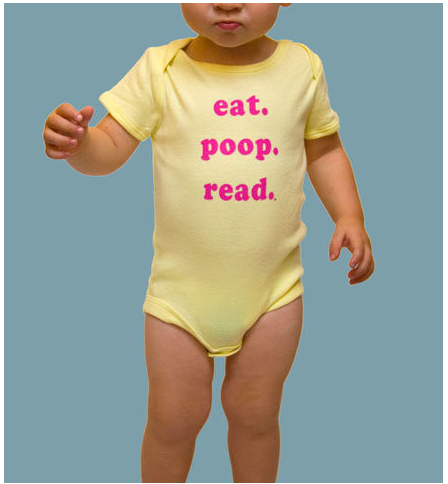 For the goal oriented baby we have Eat, Poop, Read. 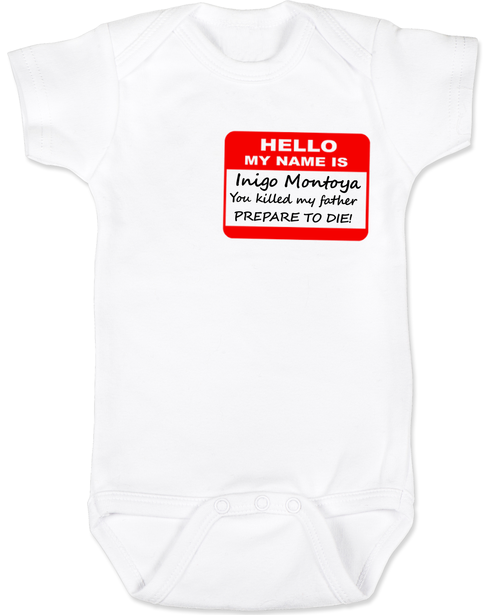 And if you’re still craving more baby onesies inspired by books here are ten more!